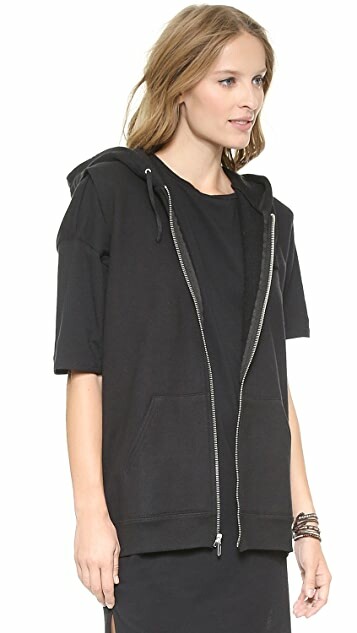 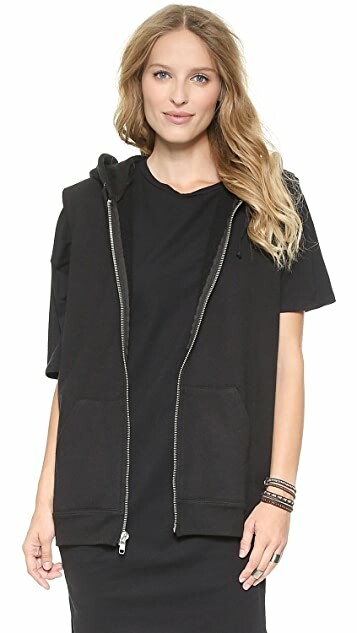 A french terry Oak hoodie has a casual feel with cutoff sleeves and an oversized silhouette. 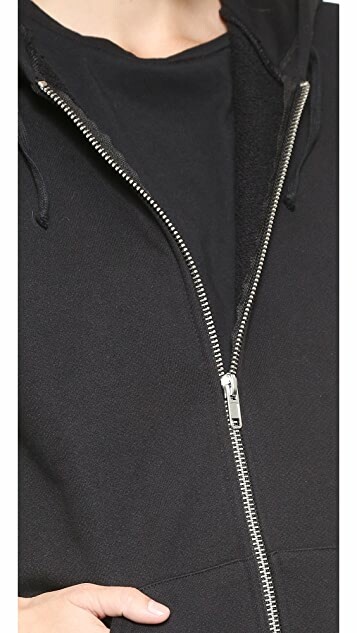 Exposed zip closure. 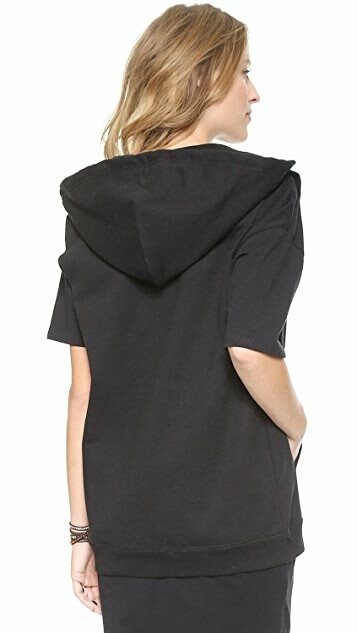 Pouch front pocket.